MUSKEGON — The Muskegon-based LED lighting manufacturer EarthTronics has introduced a new LED Area Light Series for exterior, wide-flood area illumination of parking lots and roadways for campuses, auto dealerships, and commercial, industrial, educational, health care and municipal facilities. Approved to industry specifications for outdoor wet applications, the EarthTronics LED Area Light Series is available in 75- to 480-watt models in cool 4000K and daylight 5000K color of light, providing up to 57,600 lumens per unit. 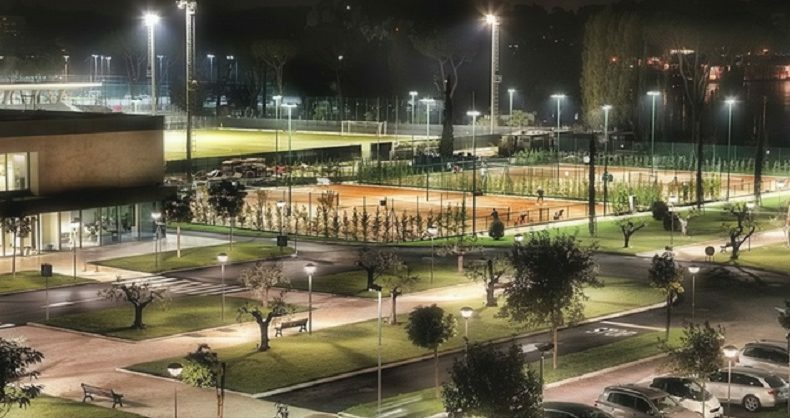 The fixtures feature Lumiled LED chips with Meanwell drivers to deliver a high quality, energy saving lighting solution. For instance, the 75-watt, 4000K fixture provides 9,750 lumens, producing 130 lumens per watt, with a 70+ color rendering index. It replaces a standard 250-watt sodium and metal halide lamp. The EarthTronics LED Area Light Series features a durable aluminum alloy housing in a slim design to perform well in all climates and in extreme temperatures ranging from -40 to 113 degrees Fahrenheit. They have a rated life of more than 100,000 hours. The fixtures are available in 100 to 277 volts AC or 200 to 480 volts AC. Various light distribution patterns are available. Also, a dusk to dawn sensor can be easily added at the time of installation. The lamps carry a standard five-year warranty, with 10-year project warranties also available. For more information about the LED Area Light Series, visit https://www.earthtronics.com/products-page/led-fixtures/area-lights/. Founded in 2007, EarthTronics offers products that provide more than 80 percent energy savings over traditional lighting. Included are LED light bulbs, linear LEDs, and LED fixtures.